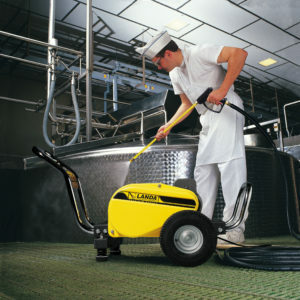 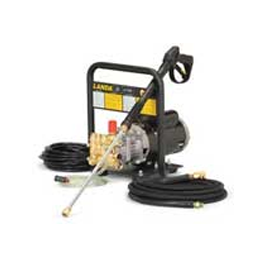 Electric-powered cold water pressure washers have been popular for years especially for indoor cleaning applications, such as manufacturing and food processing where exhaust fumes are prohibited. 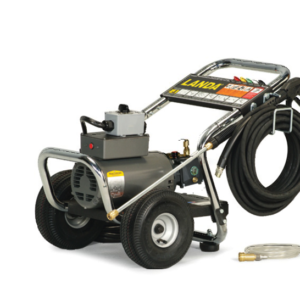 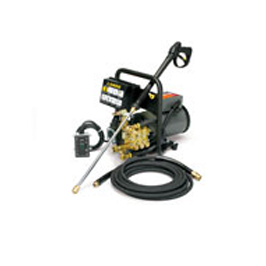 Electric-powered pressure washers run quieter than gasoline-powered models and typically are more economical. 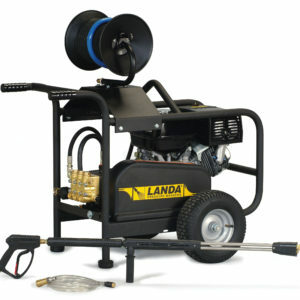 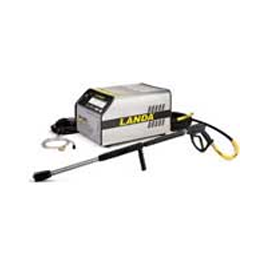 Landa has a wide selection of electric-powered models, including the MPE roll-cage model that delivers cleaning of up to 5,000 PSI.